The BJ bullpen is back. 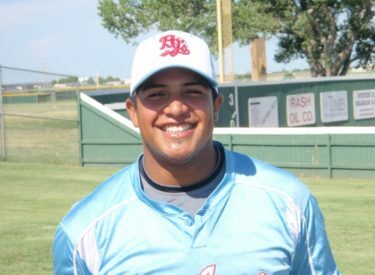 After spotting Hays a 7-5 lead after three innings, Hernan Ramos, Nick Youpel, and Tomas Cruz slammed the door on the Larks. Blake Bergeron (5) hit a two run homer to tie the game in the fifth and Richard Bohlken (2) hit a solo shot in the sixth for the 8-7 lead. Hays won the first game 7-6 after resuming the game from June 16. Aaron Mees hit a homer for his fourth of the year but the BJ rally fell short. Ramos replaced Christian Kowalchuk who left with arm soreness in the second and Ramos allowed three runs in five innings. Youpel worked a scoreless seventh with two strikeouts. Tomas Cruz nailed down his third save pitching two scoreless innings with three strikeouts. Hays scored two in the first and the second to lead 4-0 before the BJ’s scored four in the second thanks to an RBI double by Mark Gomez and RBI singles by Sam Konnoff and David Masters, Nick Cocking added a sacrifice fly. The Jays trailed 7-4 going to the bottom of the third but a Kelby Tomlinson single and stolen base set up a Kyle Borden RBI single to make it 7-5. Bergeron’s homer in the fifth was a towering fly ball and Bolken’s homer in the sixth was way over the center field wall as the Hays center fielder Brandon Eckerle barely moved after Bolken hit it. Liberal holds onto second in the Jayhawk League with a 17-11 record and 25-11 overall. Hays is in third at 13-11 and 18-13 overall. The same two teams meet Wednesday night for Fan Appreciation Night. There will be a ceremony before the game with the BJ Director of the Year and BJ Player of the Year introduced. Host families and players will also be introduced. Madden Oil is the buyout sponsor and will provide Meisenheimer’s BBQ for the first 150 fans. The game will air on Talkradio 1270 and kscbnews.net.